Another build in my series of Showcase builds! The elegant Silverstone LD01 is up on the block today. This mATX case has stainless steel trimmings, three tempered glass panels and a reverse motherboard layout, relatively common at Silverstone. As with other showcase builds, this build will be in three updates, one presenting the Silverstone hardware, second all hardware and finally, third will have the finished build. Last edited by ENTERPRISE; 03-29-2019 at 10:11 AM. Sweet, what will it be serving? Mostly my photography, but will also have backups of phones and others PC's and some videos/movies/music. Oh cool, so like a file server. What OS? As of right now, it's just on W10pro doing shared folders with specific permissions for my house users. 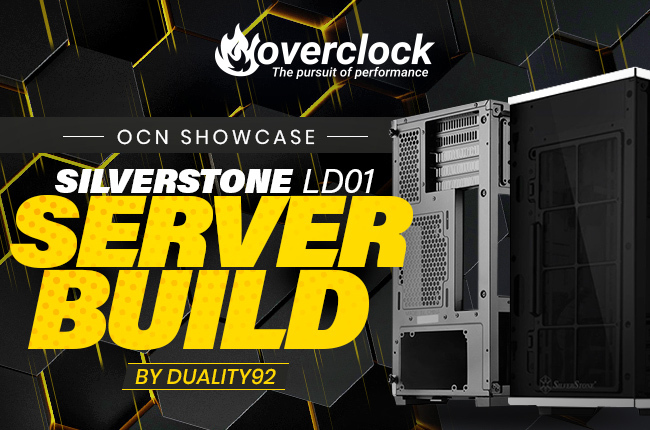 But, the next one I'm building in collaboration with Silverstone, Biostar, likely Team Group and hopefully Western Digital is going to be NextCloud and serve as my off-location backup and will be hosted at a friends house. Nice, I also have a Ryzen micro atx home server. It has served me well so far. Hopefully you enjoyed this build as much as I did making it! Go to first new post What of these motherboards?